Many start-ups begin their online journey with a less attractive domain name; their first choice is usually in a price range they cannot afford. 36names is a California company that wants to shift that paradigm, by unlocking domain assets, making them easily accessible to the start-ups and entrepreneurs. As a leasing marketplace of premium domain names, 36names targets end-user buyers: the start-ups, corporations and entrepreneurial ventures that are launching new projects and brands. Domain owners will soon be able to create an account to list their domains and choose a leasing period. The process is expected to be straight-forward, easy and rewarding. 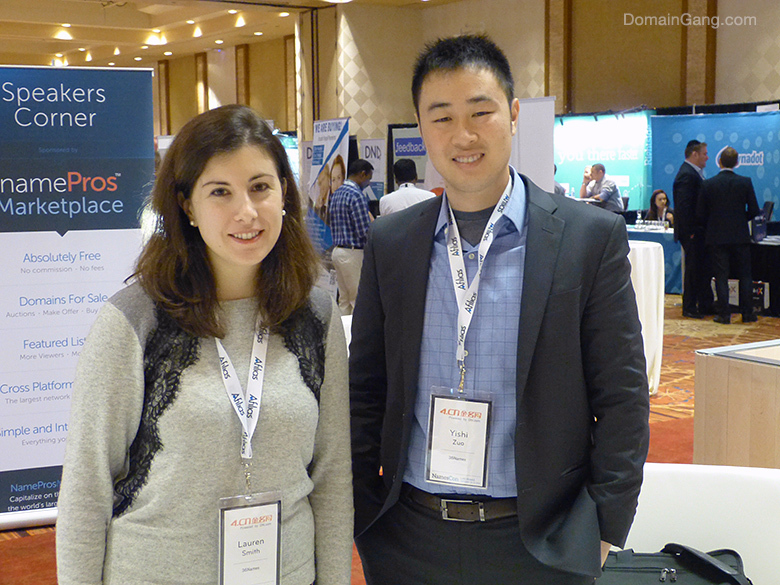 Co-founders Lauren Smith and Yishi Zuo are confident that their approach will help bridge the gap between domain inventory holders and start-ups eager to get the best domain without breaking the bank. Lauren Smith and Yishi Zuo, co-founders of 36names. During NamesCon 2016, 36names founder, Lauren Smith, said that the company wants to create more value for everyone. The leasing model can be that of a perpetual lease, or lease to own. As an experienced entrepreneur based in New York, she believes that NamesCon was a great opportunity to reach out to domain portfolio holders. Yishi Zuo, co-founder of 36names, is based in San Francisco. The company is preparing for a full launch in the coming months and it’s currently seeking additional inventory for its launch. For more information and to view a beta version of their upcoming venture, visit 36names.com. You can also follow them on twitter, @36names.